Emil Ferris is a Chicago-based artist in her fifties who began working on the book after barely surviving a bout of West Nile Virus in 2002. Doctors told her that she was likely to be paralyzed for life, but, after her daughter taped a pen into her hand and got her drawing again, she recovered. 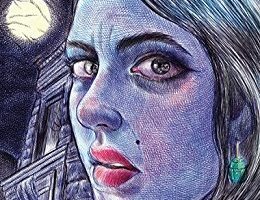 After completing the graphic novel My Favorite Thing Is Monsters, Emil Ferris received forty-eight rejections until Fantagraphics picked it up, eventually deciding to split the massive tome into two parts (although Book Two was originally slated for release in late 2017, Ferris decided to continue work on it, and it’s now set for a 2019 publication). 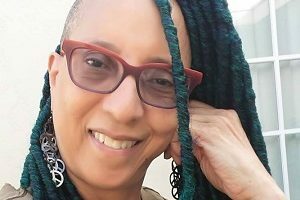 Linda D. Addison is one of the most honored speculative poets of all time. 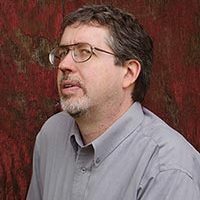 Over the course of more than 300 published poems, stories and articles, Addison has been awarded the Horror Writer Association’s Bram Stoker Award six times. In 2001, she became the first African-American to receive a Stoker for her superior achievement in poetry with the collection Consumed, Reduced to Beautiful Grey Ashes. Most recently, she was honored with the HWA’s Lifetime Achievement Award in 2018. Three-time Shirley Jackson Award nominee S.P. Miskowski was raised in Decatur, Georgia, but later moved to the Pacific Northwest. After receiving an M.F.A. 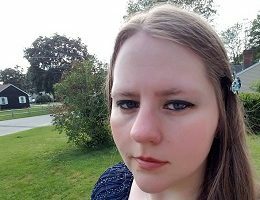 from the University of Washington and two National Endowment for the Arts Fellowships, she seemed poised for a career as a writer of mainstream fiction (she cites Flannery O’Connor as an early influence), but instead found her way into the horror genre. She debuted with Knock Knock, the first of a series of books set in the fictional town of Skillute. 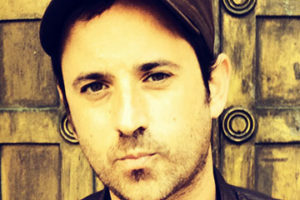 In 2014, a horror novel by a young writer named Josh Malerman was released by HarperCollins’ Ecco Press imprint to starred reviews from Publishers Weekly and Kirkus Reviews. Malerman had never been published before, because (talk about dream day jobs!) he’d been touring for years as frontman for the band the High Strung, who scored when their song “The Luck You Got” was chosen as the theme song for the Showtime series Shameless. Since Bird Box, Josh has published an impressive array of short stories, novellas, introductions, and—just released in May—his second novel, Black Mad Wheel. 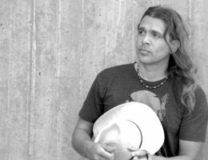 Mongrels may be the first Stephen Graham Jones novel published by a major house (William Morrow) and his first Bram Stoker Award nomination in the Novel category, but to those who have followed the author’s work for years it’s a natural step for one of the horror genre’s most unusual voices. Jones, a native of West Texas who now lives and teaches in Colorado, has authored over 250 short stories; his earlier novels include Demon Theory, Zombie Bake-Off, The Last Final Girl, and Growing Up Dead in Texas. Forthcoming in June from Tor.com is the novella Mapping the Interior. In 2013, a previously unknown writer named J. Lincoln Fenn won Amazon’s Breakthrough Novel contest in the Science Fiction/Fantasy/Horror novel with Poe, a hybrid of horror, mystery, and young adult that involves spiritualism, haunted houses, and the Russian mystic Rasputin. The novel garnered almost universal praise, and marked Fenn as one of the horror genre’s most promising new voices. 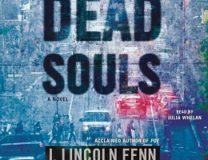 In 2016, Fenn published her second novel, Dead Souls, with Simon & Schuster’s Gallery Books imprint; as with Poe, Dead Souls mixes genres in a story about a young woman, Fiona Dunn, who makes a deal with “Scratch”. 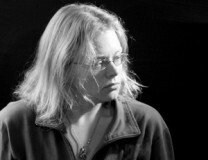 Since her first novel Rosemary and Rue was published in 2009, Seanan McGuire has written scores of short stories, non-fiction essays, songs, and nearly two-dozen novels . . . and that’s just under her own name. 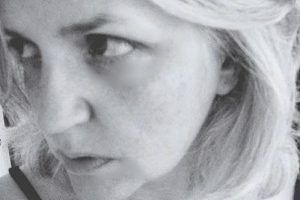 As Mira Grant, she has written the popular Newsflesh and Parasitology series, which include more medical horror than the works attributed to Seanan McGuire. 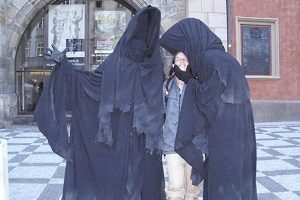 A fan of both science and folklore, Seanan’s books include ten volumes in the October Daye urban fantasy series, the Incryptid series (which explores cryptozoology), the Wayward Children series from Tor, and the Velveteen Vs. superhero stories.